Each November, Christmas trees at each location are decorated with “wish tags.” Each tag contains a gift request for a person supported by The ReHabilitation Center or one of their family members. 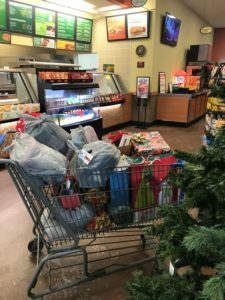 The requests include everything from cleaning supplies and warm weather clothing items to toy and game requests for children. Applications are only accepted from individuals or families who have a financial need, and who haven’t been accepted into other community programs. Community members visit the locations, take tags off the trees and return gifts to the locations prior to the mid-December deadline. Foundation and Agency staff then purchase supplemental gifts, wrap and deliver in time for Christmas. Agency Service Coordinators, Larissa Bennett, Karen Hunt and Molly Martinelli pick up gifts to deliver to families. 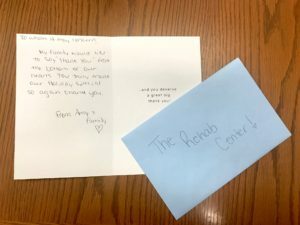 The Rehabilitation Foundation is extremely grateful to the three community locations who hosted the trees this year, and to all who purchased a gift to help make a brighter holiday for the people we support and their families. “Projects like this help to remind us what the holiday season is all about.” said Bombardier. We would also like to thank Mastel Ford and the other generous community donors who contributed specifically to this project. 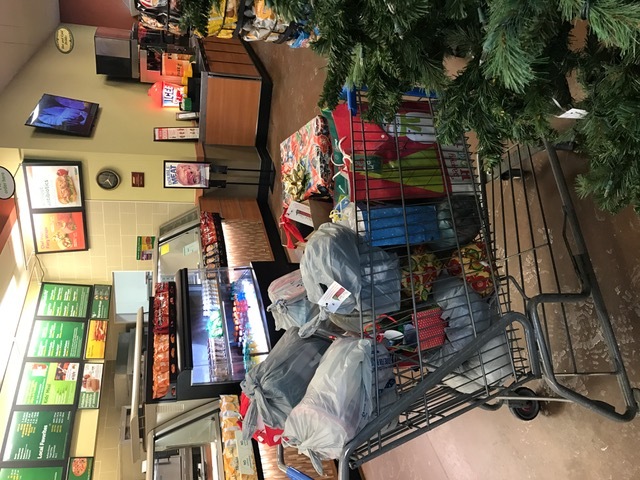 Online donations will be used to supplement the gifts purchased by the community to ensure everyone who has submitted a request will have gifts to open on Christmas morning. The Wish Tree Committee collects, wraps and works with agency staff to deliver gifts in time for the Holiday. Join us in making someone’s Holiday a little brighter!